This leather stool embraces the minimalistic design mirrored by the equally clean cut slim chairs from the same range. Available in classic black only, the metal frame is fully covered in leather with a chromed metal footrest. Sleek, linear edges give this leather stool its slender yet strong appeal. The seat and low back are squared, giving the product a balance and sense of stability that creates a commanding presence in any modern space. The leather stool also offers great practicality and can be stored with ease and placed as desired. 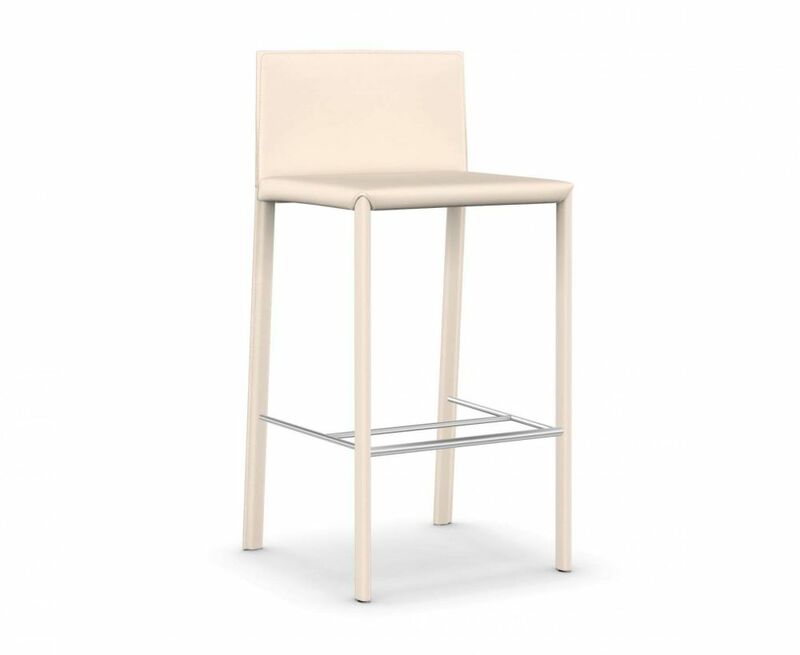 The neutral design, basic shape, and classic colour also ensure it can complement a number of different interiors, such as bars, restaurants, hotels, pubs and cafes, as well as the modern home.